It’s not a secret that the Lions will play either the Miami Dolphins or Buffalo Bills on Thanksgiving. We know it will be an AFC opponent on the CBS televised game. This isn’t breaking news. 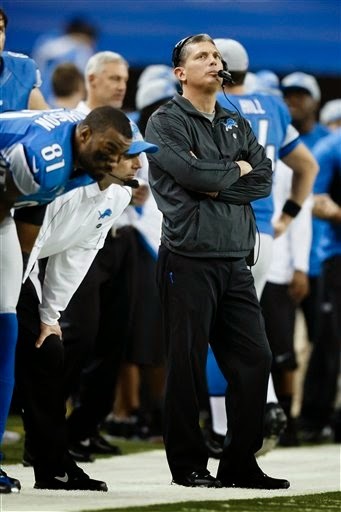 “Bills first year defensive coordinator Jim Schwartz will make his first visit to Ford Field on the opposing sideline after he served as the Lions’ head coach for the previous five years. Note, it doesn’t say the Bills will be at the Lions on Thanksgiving. The NFL regular season schedule is expected to be released in the next two weeks. At this point the only certainty is that the Lions will play the Atlanta Falcons on Oct. 26 at London’s Wembley Stadium.